Thanks to Hollywood, the enduring impression of railguns in the public mind usually revolves around the Schwarzenegger movie Eraser and the last Transformers sequel, where it was used to dispatch a giant Decepticon that was tearing a Giza Pyramid apart. The reality of railguns is far from its cinematic depiction but doesn’t suffer a corresponding lack of awesomeness. 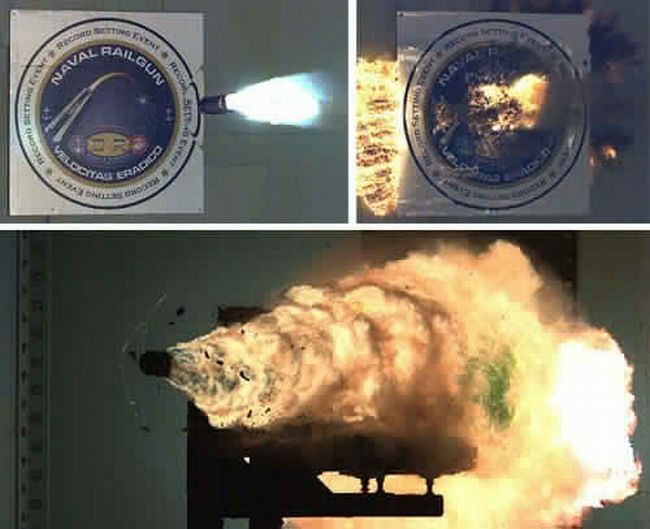 The U.S. Navy just conducted its most devastating test to date, firing a metal projectile that destroyed a target a hundred miles away. Though the exact specifications are under wraps—we’re sure Russia, Iran, India, Pakistan, North Korea, South Korea, Israel, Brazil, Taiwan, France, the U.K., and China are keeping tab on this little project—the railgun’s operation is quite straightforward. What it has over traditional artillery is it uses an electrical charge measured in megajoules as a propellant, this allows for large ordnance to be fired and detonated in a snap. As mentioned, the recently concluded test struck its very distant target in a matter of minutes. While all this may smack of Command and Conquer, the U.S. Navy won’t be deploying railguns anytime soon and further tests are scheduled in the foreseeable future. However, this shiny new toy for the generals and admirals does beg the question: in a world of UAVs, asymmetrical warfare, and cyber attacks, is a railgun capable of influencing the balance of power or is it another useless hunk of too expensive weaponry?